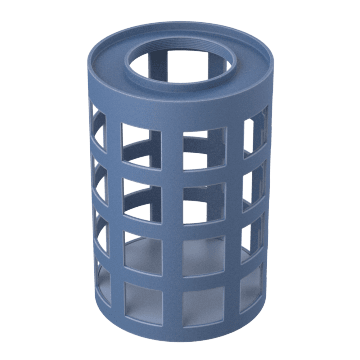 Protect pumps and downstream instruments from damage caused by debris in the pumped fluid by installing one of these endline strainers on your suction hose. They are frequently used in applications that draw in liquids from ponds, pits, or below-ground tanks. 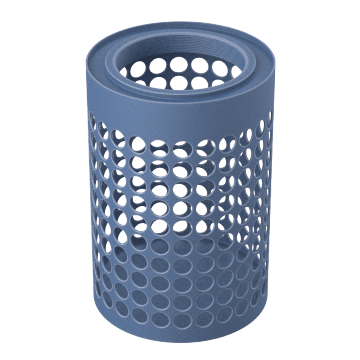 These basket-style strainers feature round perforations on the sides to allow for good material flow with low pressure drop. Because material can flow through all sides, they can be placed anywhere in the collection point to draw in fluid. 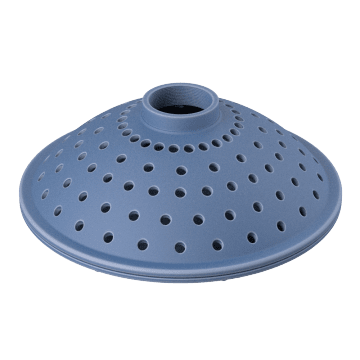 With round perforations on the bottom, these strainers have a flattened, round shape, making them a good choice for shallow water applications. 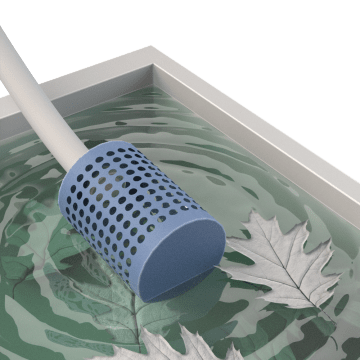 They're also referred to as skimmer strainers. Square perforations on the side of these basket-style strainers encourage maximum liquid flow through a pump. Because material can flow through all sides, they can be placed anywhere in the collection point to draw in fluid. Position these strainers at the bottom of your collection point to strain water before entering your system. 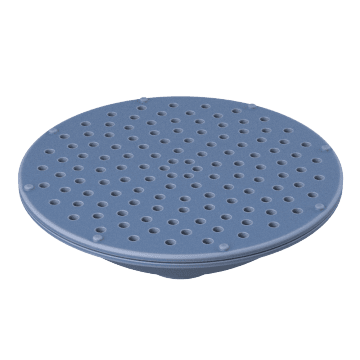 Also called skimmer strainers, they have a flattened disc shape and round perforations on the top, making these a good choice for use in areas with shallow water.